Treadstone Aluminum Adapter Pipe UNIVERSAL - Dezod Motorsports Inc - Home of the automotive performance enthusiast since 2002. Treadstone Aluminum Adapter Pipes feature the same high quality as our aluminum bends! You can use this adapter pipe to weld into your intercooler system, and take the ease out of welding the aluminum flange to a pipe, or use silicone couplers to plumb into your system. Available for GReddy, HKS, Turbonetics, Turbosmart and TiAL blow off valves! 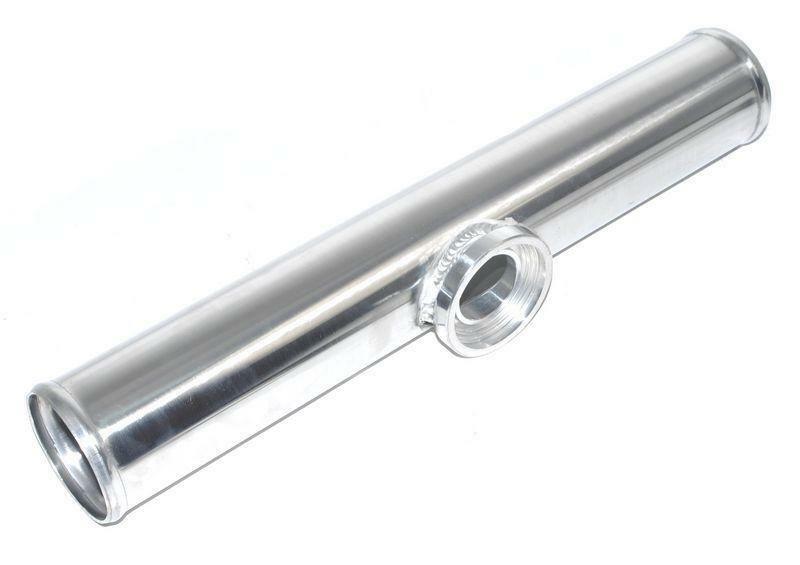 Aluminum pipe is 16” long, comes with bead rolled ends, and is available in 2”, 2.5” and 3” diameters.